Aluminum sleeve with steel 2.5mm threads. Glue onto end of carbon tube to build your own pushrods. 2 per package. 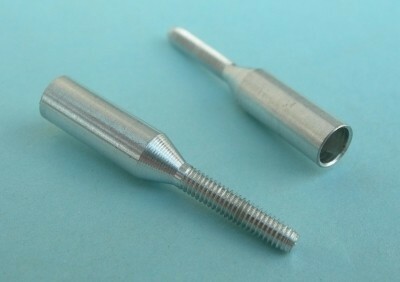 Fully threaded 2.5mm steel rod. 300mm Length.